i saw these ducks walking one behind the other in my sister's backyard when we visited her in chicago in october of 2009.
bruni, you know how much i love duck photos? this is just so wonderful, the scenery is equally beautiful!!!!! But, I'm with the other Barb. Oh wait...I was just reading on Luster's page, you ARE from up here! I was just teasing you, Bruni! 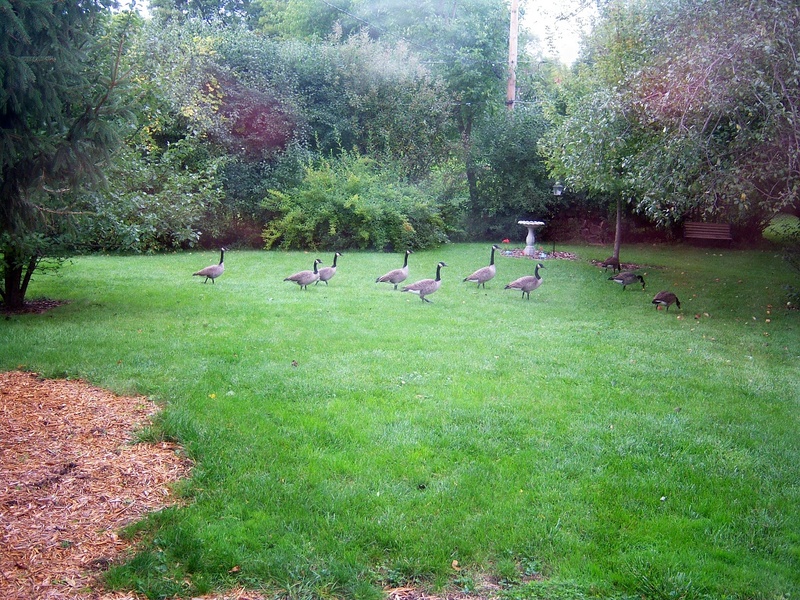 hi bruni, thanks, i should have known they are geese, haha! but either geese or ducks would not make a difference, the photo itself just makes me happy!